In my exhibition I chose the theme of Death for the selected artworks I chose from around the world. The artworks I chose are from China, South America, and Africa. This exhibition will demonstrate how each of these cultures deal with death through their art. The exhibition includes the artworks Da Ke Ding which is from the late Western Zhou Dynasty in China, Bottle, skeletal couple with child from the Moche culture in South America, This artwork is made out of Bronze and is a ritual vessel. This was found in ancient tombs. People would have these buried with them so they could have it with them in the afterlife. Another artwork in the exhibition is the Bottle, skeletal couple with a child. This was from the Moche culture in Peru. It is a sculpture made out of clay and just like any other vessel it was made from a two piece mold. 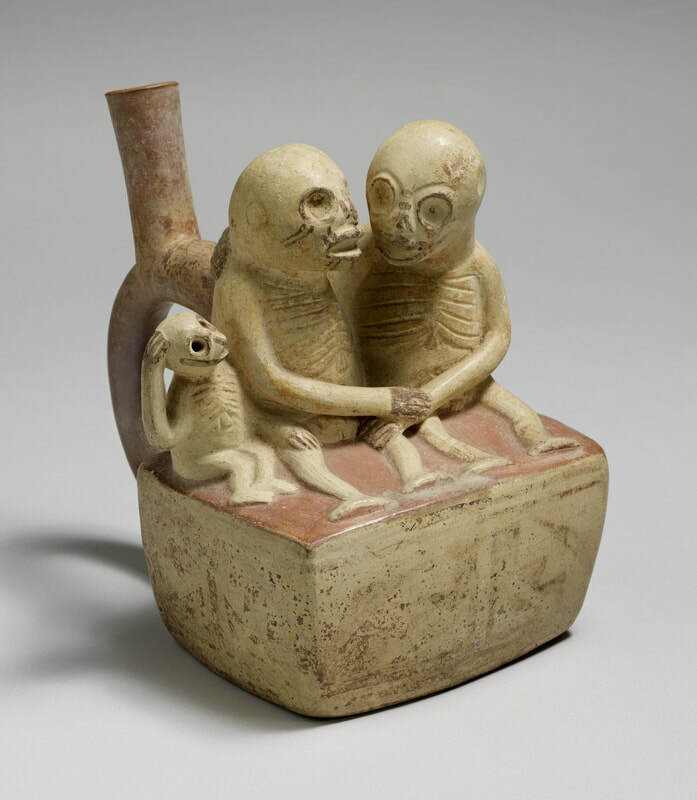 In Moche ceramics these skeletal individuals symbolizes interplay and complementarity between life and death. 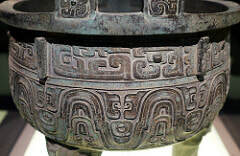 In Moche culture there are different types of vessels. It is a transitory stage between life and death and is showed through animated skeletons that dance, embrace, play music with flutes and rattles, carry funerary offerings, or engage in sexual activities. Going back to the Chinese culture in this exhibition we have the artwork the Funeral banner of Lady Dai (Xin Zhui). The function of these banners are still up for debate. Scholars believe they are name banners that help identify during the mourning ceremonies. They also believe they may have been burial shrouds intended to aid the soul in its passage to the afterlife. A great discovery in 1972 was of three elite tombs. These tombs were of a high-ranking Han official civil servant, the Marquis of Dai, Lady Dai (his wife), and their son. When found the tomb was not in very great condition but the objects found inside of them were. Lastly, we have the Pelete bite (cloth) made by the Ijo of southern Nigeria. African artists would transform materials from other cultures to help them create this artwork. They would then place the cloth and textiles over the corpse on the bed.